New one-off private house in the countryside. Set amongst rolling hills, the site for this new house occupies flat former farmland in the midlands. We spent time listening to the client’s deep connection to and love of the land in which they have lived all their lives: the views and sounds they enjoy, their thoughts on local building materials, building forms and the quality of light. The house is conceived out of these conversations and aspirations about how they wanted to live on the land. Interweaving shared interests in sustainable environmental intent and a desire to connect with the traditional built heritage in the area, the building references Irish vernacular farmhouses, not only in form, but in the solidity of the northern façade which is designed with a high solid to void ratio. The ground floor sits on a polished concrete plinth, raised 450mm above ground level. 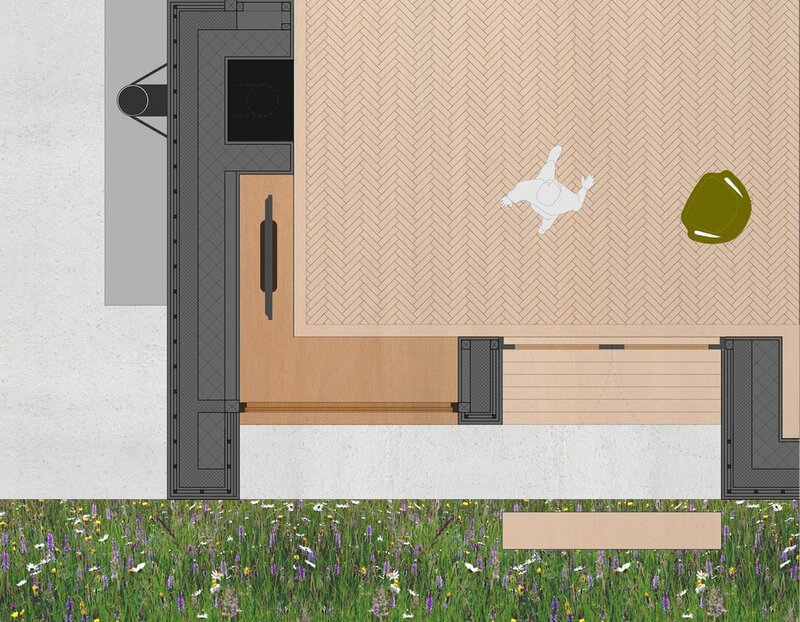 Forming a protective base for the house, the level of the plinth rises and falls within the footprint of the house in order to support the primary functions of each space: a kitchen counter, a bathroom, a hearth, a seat. Above this, the volume of the house is clad in Douglas Fir boards and completed with a pitched metal roof. 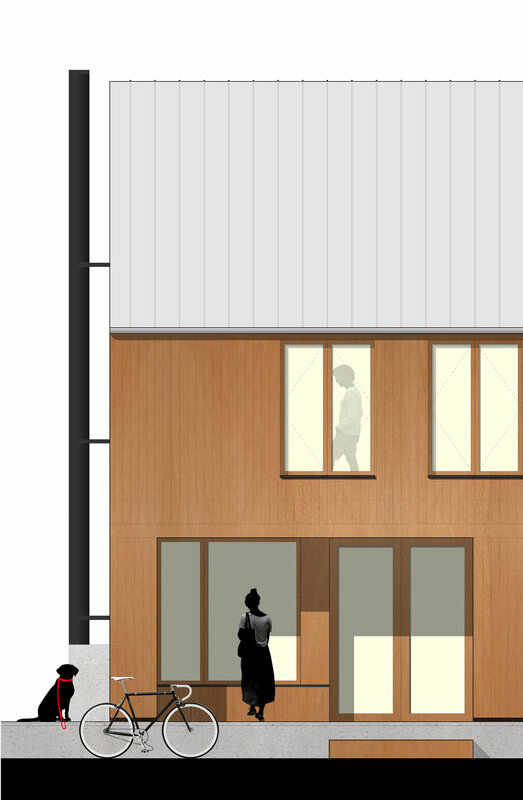 While the external form and footprint of the house is a simple rectangle, internally the spaces are staggered. The entrance is carved out of the primary form creating a shift at the centre of the house, while a service core holds the north-east and living spaces take advantage of east, south, and west facing orientations.